Jesus began speaking in the synagogue, saying: “Today this Scripture passage is fulfilled in your hearing.” And all spoke highly of him and were amazed at the gracious words that came from his mouth. 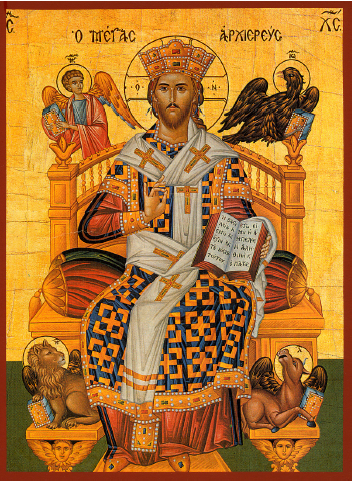 They also asked, “Isn’t this the son of Joseph?” He said to them, “Surely you will quote me this proverb, ‘Physician, cure yourself,’ and say, ‘Do here in your native place the things that we heard were done in Capernaum.’” And he said, “Amen, I say to you, no prophet is accepted in his own native place. Indeed, I tell you, there were many widows in Israel in the days of Elijah when the sky was closed for three and a half years and a severe famine spread over the entire land. It was to none of these that Elijah was sent, but only to a widow in Zarephath in the land of Sidon. Again, there were many lepers in Israel during the time of Elisha the prophet; yet not one of them was cleansed, but only Naaman the Syrian.” When the people in the synagogue heard this, they were all filled with fury. They rose up, drove him out of the town, and led him to the brow of the hill on which their town had been built, to hurl him down headlong. But Jesus passed through the midst of them and went away. Reflection on the gospel reading: The gospel passage we read today refers back to the gospel passage that we read last Sunday. In both gospel passages, Jesus is starting his ministry and has read aloud in the synagogue a passage from Isaiah the prophet that describes the mission of the messiah. Jesus says in today’s gospel that Isaiah’s word is fulfilled in in him. Israel has waited for its messiah, and the day of the messiah’s coming is now here in the Nazareans’ midst in the presence of Jesus who proclaims good news to the poor, liberty to captive, sight to the blind, freedom to the oppression and a year acceptable to the Lord. At first, the crowd is very impressed with what Jesus is saying, but Jesus challenges them, saying that no prophet is accepted in his native place, effectively saying that they think they know him but they actually have no faith at all in who he really is. This challenge to the people of Nazareth is also a challenge to us: we may think we know Jesus, but Jesus is ever ready to become more and more for us, more surprising, deeper and richer than we have known him. Do we prepare ourselves, through prayer and through service to the poor, the captive, the blind, and the oppressed to come and know Jesus for the prophetic voice he can continue to be in our lives? Reflection on the gospel reading: Over and over in the gospel, as in today’s reading, Jesus tells us not to fear and asks us to trust. Our vocations as disciples of Jesus, women and men who follow his path, call on us to give our concerns and troubles to the Lord. Let us make no mistake about this passage from the gospel. It was an entirely reasonable emotional reaction to the situation where the apostles found themselves to be afraid of the storm. But Jesus already had shown the apostles his power, and his rebuke of them for their lack of faith also reflected evidence they had from their own lives. 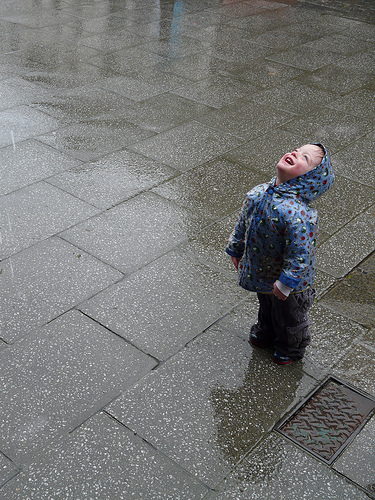 When I imagine the future, it may be that I imagine disasters will engulf me and swallow me whole. In those moments of temptation, why is it with all the evidence of my life that God has followed me at each step that I should imagine a future that does not enjoy the presence of God? We may be buffeted by the strong winds that blow through our lives, and we may fear we will perish because of them, but our faith instructs us to live in the peaceful certainty that the God who cares for us today also will care for us tomorrow. 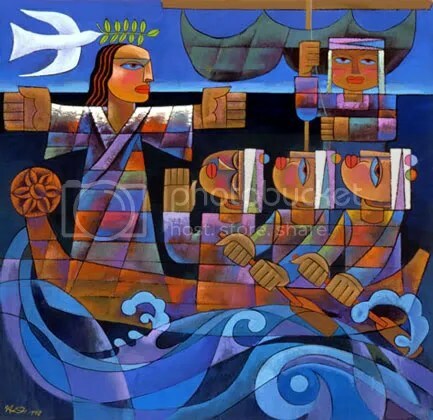 When life roughs us up, let us make our way to the Lord to ask for help just as the apostles made their way to the Lord on the boat to seek his aid. God is faithful, so let us be, too: peace be to you; be not afraid. 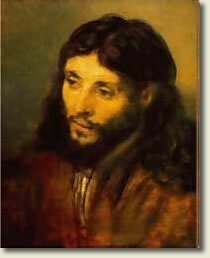 He said, “To what shall we compare the Kingdom of God, or what parable can we use for it? 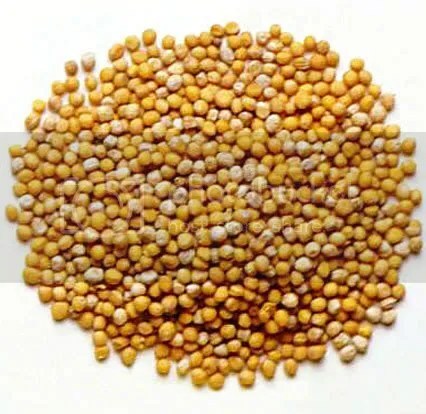 It is like a mustard seed that, when it is sown in the ground, is the smallest of all the seeds on the earth. 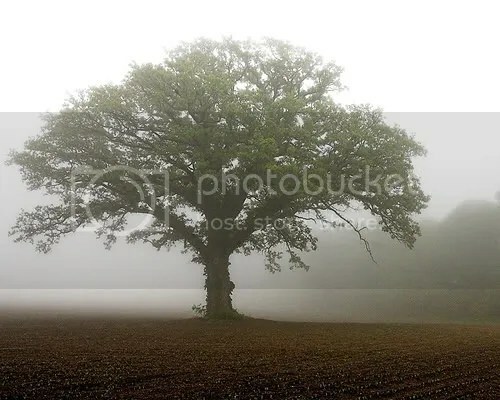 But once it is sown, it springs up and becomes the largest of plants and puts forth large branches, so that the birds of the sky can dwell in its shade.” With many such parables he spoke the word to them as they were able to understand it. Without parables he did not speak to them, but to his own disciples he explained everything in private. Reflection on the gospel reading: Scripture scholars agree that the core of Jesus’ teaching was the proclamation of the kingdom of God. Here we have two parables that suggest to us how Jesus understood God’s kingdom arises among us. The first of the two parables talks about the growth of wheat stalks: we may not know how the process occurs, but we believe and behave like it will occur, and it does in fact occur just the way we expected. The second of the two parables describes how the arrival of the kingdom of God starts very small only subsequently to loom as very great. What shall we take away from these two parables? First, God is faithful, and God will act. We may not know how, but we can believe and behave like God will lead us, and God will not disappoint us. Second of all, we can trust that small things will lead to great things (not unlike Jesus’ own ministry to tiny backwater towns in a backwater region of the Roman Empire that has spread to the four corners of the earth.) The coming of the Kingdom of God in our lives, then, is mysterious, reliable to the point of predictability, and immensely productive. You can count on it. Saint of the day: Bronislaw Markiewicz was the sixth of the eleven children of John Markiewicz, City Mayor, and Marianna Gryziecka, was born on the 13th of July 1842 in Pruchnik, Poland, in the present day Archdiocese of Przemys’l dei Latini. In his family home, he received a solid religious formation. Nonetheless, during his secondary studies in Przemys’l he experienced a certain wavering in the faith due, in large part, to the strong anti-religious atmosphere which dominated the school. However, he succeeded in overcoming this in a relatively short period, once again finding peace and serenity. Feeling a call from God to the priesthood, the young Bronislao entered the major seminary of Przemys’l in 1863 after having received the Maturity diploma. Upon completion of the regular course of study he was ordained to the priesthood on September 15, 1867. Following six years of pastoral wok as a parochial vicar in the Parish of Harta and the Cathedral of Przemys’l, seeking to become better equipped to work with youth, he studied pedagogy, philosophy and history for two years in the Universities of Leopoli and Cracow. In 1875 he was named pastor at Gac and in 1877 pastor at Bazowa. In 1882 he was entrusted a teaching position in pastoral theology and the Major Seminary of Przemys’l. Hearing a call to the religious life, he left for Italy in the month of November 1885 and joined the Salesians where he had the joy of meeting Saint John Bosco before whom he professed religious vows on March 25, 1887. As a Salesian he carried out the various tasks assigned to him by his superiors, which he sought to accomplish with dedication and zeal. 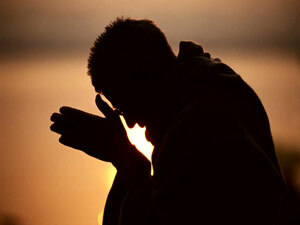 Due to the austerity of the lifestyle and the change of climate, Fr. Bronislao fell gravely ill with consumption in 1889, to the point of having been considered close to death. Having recovered from his illness, he convalesced in Italy until March 23, 1892 when, with the permission of his Superiors, he returned to Poland where he assumed the assignment of Pastor at Miejsce Piastowe, in Przemys’l his native Diocese. In addition to his ordinary pastoral activity, Father dedicated himself, in the Spirit of St John Bosco, to the formation of poor and orphaned youth. He opened an institute in which he offered his students both material and spiritual support preparing them for life with a professional formation in the schools around the institute itself. To carry on his work, he decided in 1897 to found two new religious congregations based on the spirituality of St. John Bosco, adapting his rules to reflect their own Charism. Once again received among the clergy of the Diocese of Przemys’l, Father Markiewicz continued his work as Pastor and Director of the Society (erected in 1898) which he named Temperance and Work, seeking to obtain its approbation as a religious institute. The approbation was granted a few years after his death: in 1921 for the male branch and in 1928 for the female branch. With the approval and blessing of his bishop Saint Joseph Sebastian Pelczar, Fr. Bronislao continued his activity forming youth and abandoned and orphaned children. He was assisted by collaborators to whose preparation and formation he himself always contributed. Already at Miejce Piastowe he had offered a home and formation to hundreds of children giving of himself totally for them. Always desiring to do more for them, in the month of August of 1903, Fr. Markiewicz opened a new house in Pawlikowice, near Cracow, where over 400 orphans found a house and the possibility for spiritual and professional formation. His total dedication to children, his heroic self-denial and the enormous work he accomplished, quickly exhausted the strength of Fr. Markiewicz,. undermining his health, which was already greatly compromised from his illness in Italy. All of this led rather rapidly to the end of his earthly pilgrimage which came on January 29, 1912. Naught be all else to me save that Thou art. Waking or sleeping Thy presence my light. Reflection on the gospel reading: Jesus invites us to let the light of our lives illuminate the world we inhabit and let our love penetrate the dark corners of not only our existence but the the existences of those who surround us. As the song from “Godspell” suggests, we can accomplish this through our relationship with the Lord that liberates us from all the things that imprison us. 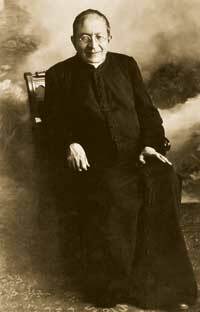 Saint of the day: Joseph Freinademetz was born in 1852, the fourth child of Giovanmattia and Anna Maria Freinademetz in Oies a section of the town of Badia in the southern Dolomites, which was then part of Austria and now part of Italy. He studied theology in the diocesan seminary of Brixen and was ordained priest on July 25, 1875. He was assigned to the community of San Martino di Badia, not far from his own home. During his studies and the three years in San Martino, Freinademetz continually felt a calling to be a missionary. He contacted Arnold Janssen, founder of the mission house Society of the Divine Word in Steyl, a village in the south-east of the Netherlands. With the permission of his parents and his bishop, he moved to Steyl in August 1878, where he received training as a missionary. In March 1879 he and his confrere John Baptist Anzer boarded a ship to Hong Kong, where they arrived five weeks later. They stayed there for two years. Freinademetz was based in Sai Kung until 1880 and set up a chapel on the island of Yim Tin Tsai in 1879. In 1881 they moved to the province South Shantung that they were assigned to. At the time of their arrival, there were 12 million people living in this province, of which 158 had been baptized. Freinademetz was very active in the education of Chinese laymen and priests. He wrote a catechetical manual in Chinese, which he considered a crucial part of their missionary effort. In 1898, he was sick with laryngitis and tuberculosis, so Anzer, who had become bishop, and other priests convinced him to go to Japan to recuperate. He returned but was not fully cured. When his bishop had to leave China for a journey to Europe in 1907, the administration of the diocese was assigned to Freinademetz. There was an outbreak of typhus in this time, and he helped wherever he could, until he himself became infected. He returned to Taikia, South Shandong, where he died on January 28, 1908. He was buried in Taikia, at the twelfth station on the Way of the Cross. In a field under azure skies beneath the great orb of the sun walks a sower. Light glistens in the air as it cascades down from the vault of heaven onto the field like the fall of waters into the great chasm of time. The sower walks, and as he walks, he swings his arm in a count of one, two: left, right; to, fro; here, there. As the seed drops to the ground, a soft lullaby resonates from the earth and mixes in the air with the smell of the seed and the soil. 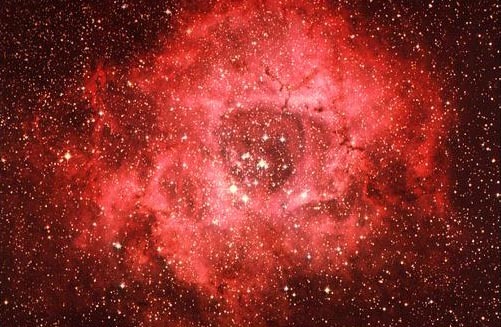 At the last as at the first, all of it fuses into one, and all love presses into the oneness of his being. 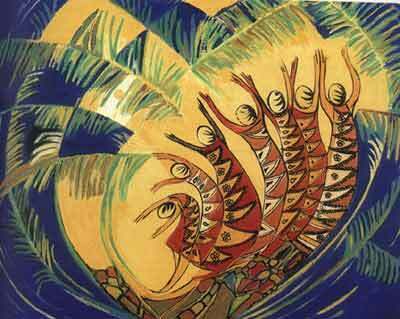 The sower offers life to the field as he sows the seed to bring forth a harvest from the barrenness. The work of the field, the seed, the soil, the air, the light, the sound, and the smell, is the life of the sower. 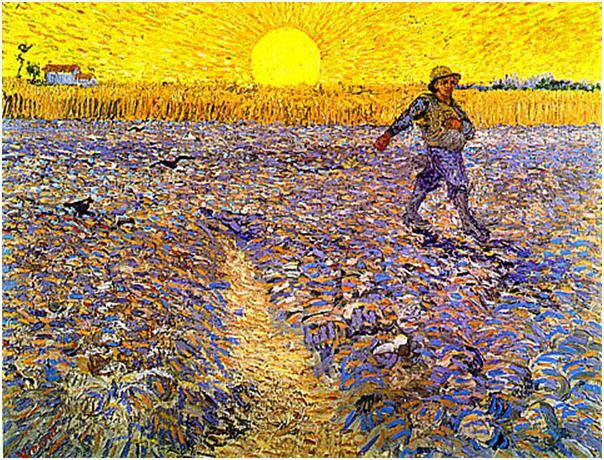 The sower’s life is love for the field, and love is the work of the field. 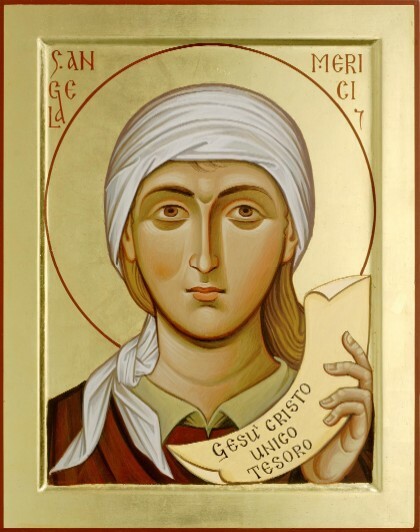 Saint of the day: Born in 1474 in Italy, Angela Merici has the double distinction of founding the first teaching congregation of women in the Church and what is now called a “secular institute” of religious women. As a young woman she became a member of the Third Order of St. Francis (now known as the Secular Franciscan Order), and lived a life of great austerity, wishing, like St. Francis, to own nothing, not even a bed. Early in life she was appalled at the ignorance among poorer children, whose parents could not or would not teach them the elements of religion. Angela’s charming manner and good looks complemented her natural qualities of leadership. Others joined her in giving regular instruction to the little girls of their neighborhood. She was invited to live with a family in Brescia (where, she had been told in a vision, she would one day found a religious community). 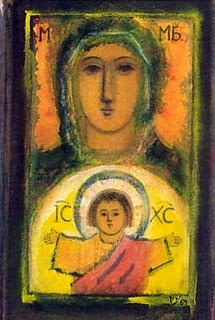 Her work continued and became well known. She became the center of a group of people with similar ideals. She eagerly took the opportunity for a trip to the Holy Land. When they had gotten as far as Crete, she was struck with blindness. Her friends wanted to return home, but she insisted on going through with the pilgrimage, and visited the sacred shrines with as much devotion and enthusiasm as if she had her sight. On the way back, while praying before a crucifix, her sight was restored at the same place where it had been lost. At 57, she organized a group of 12 girls to help her in catechetical work. Four years later the group had increased to 28. She formed them into the Company of St. Ursula (patroness of medieval universities and venerated as a leader of women) for the purpose of re-Christianizing family life through solid Christian education of future wives and mothers. The members continued to live at home, had no special habit and took no formal vows, though the early Rule prescribed the practice of virginity, poverty and obedience. The idea of a teaching congregation of women was new and took time to develop. The community thus existed as a “secular institute” until some years after Angela’s death. Reflection on the gospel reading: This passage from the gospel sometimes causes confusion when people read it. Jesus isn’t rejecting his family in this passage. We see over and over again throughout the gospels that Jesus uses the circumstances around him as teachable moments for his listeners. He always looks beyond the basic facts of situation, such as the physical arrival of his family, to make a deeper point that reflects the central truth of his mission. Here it is that all of us who strive to understand and do God’s will are the family of Jesus in a way that Jesus teaches is more basic to human existence than even the bonds among natural family members. 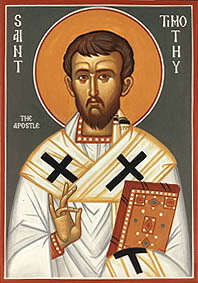 Saint of the day: Timothy (d. 97? ): What we know from the New Testament of Timothy’s life makes it sound like that of a modern harried pastor. He had the honor of being a fellow apostle with Paul, both sharing the privilege of preaching the gospel and suffering for it. Timothy had a Greek father and a Jewish mother named Eunice. Being the product of a “mixed” marriage, he was considered illegitimate by the Jews. It was his grandmother, Lois, who first became Christian. Timothy was a convert of Paul around the year 47 and later joined him in his apostolic work. He was with Paul at the founding of the Church in Corinth. During the 15 years he worked with Paul, he became one of his most faithful and trusted friends. He was sent on difficult missions by Paul—often in the face of great disturbance in local Churches which Paul had founded. Timothy was with Paul in Rome during the latter’s house arrest. At some period Timothy himself was in prison (Hebrews 13:23). 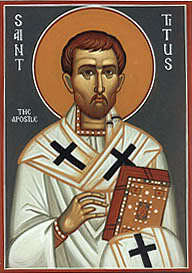 Paul installed him as his representative at the Church of Ephesus. Timothy was comparatively young for the work he was doing. (“Let no one have contempt for your youth,” Paul writes in 1 Timothy 4:12a.) Several references seem to indicate that he was timid. And one of Paul’s most frequently quoted lines was addressed to him: “Stop drinking only water, but have a little wine for the sake of your stomach and your frequent illnesses” (1 Timothy 5:23). Titus (d. 94? ): Titus has the distinction of being a close friend and disciple of Paul as well as a fellow missionary. He was Greek, apparently from Antioch. Even though Titus was a Gentile, Paul would not let him be forced to undergo circumcision at Jerusalem. Titus is seen as a peacemaker, administrator, great friend. Paul’s second letter to Corinth affords an insight into the depth of his friendship with Titus, and the great fellowship they had in preaching the gospel: “When I went to Troas…I had no relief in my spirit because I did not find my brother Titus. So I took leave of them and went on to Macedonia…. For even when we came into Macedonia, our flesh had no rest, but we were afflicted in every way—external conflicts, internal fears. But God, who encourages the downcast, encouraged us by the arrival of Titus…” (2 Corinthians 2:12a, 13; 7:5-6). When Paul was having trouble with the community at Corinth, Titus was the bearer of Paul’s severe letter and was successful in smoothing things out. Paul writes he was strengthened not only by the arrival of Titus but also “by the encouragement with which he was encouraged in regard to you, as he told us of your yearning, your lament, your zeal for me, so that I rejoiced even more…. And his heart goes out to you all the more, as he remembers the obedience of all of you, when you received him with fear and trembling” (2 Corinthians 7:7a, 15). The Letter to Titus addresses him as the administrator of the Christian community on the island of Crete, charged with organizing it, correcting abuses and appointing ministers of the gospel. Reflection on the gospel reading: The passage from Mark’s gospel that we read today is one of the alternative endings to the gospel. Jesus, after his resurrection, appears to the apostles and commissions them to go out and teach the whole world about his coming and his way of life. If we read between the lines, it says to us that if we are willing to trust God, extraordinary things will come to pass in our lives and the lives of people whom we encounter. 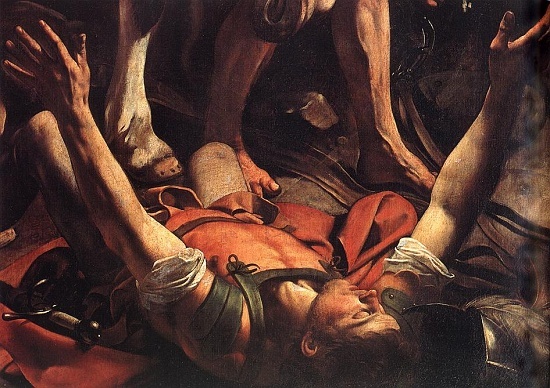 Saint of the day: Today is the celebration of the call of Paul the Apostle. 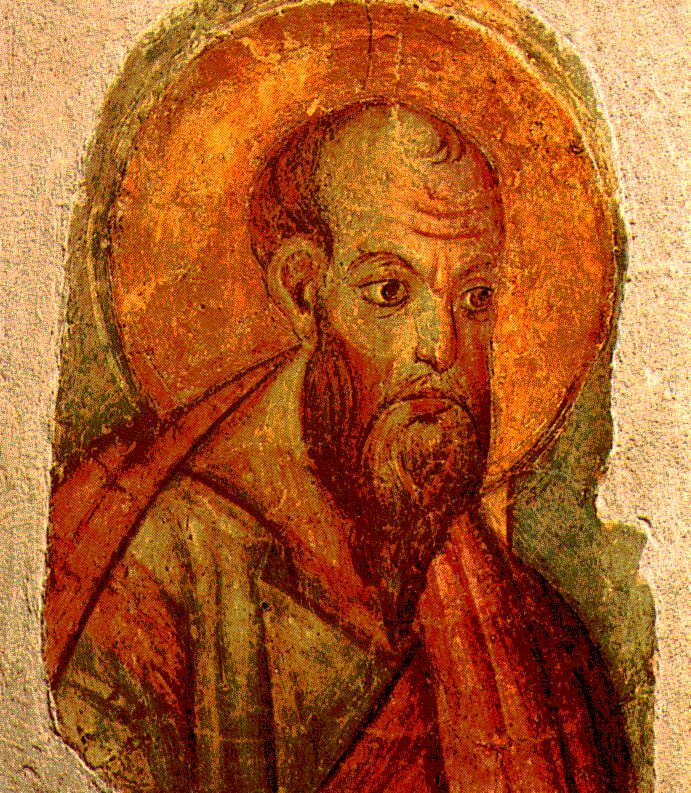 Paul likely was born on the early first century. The Acts of the Apostles records that he was a citizen of Tarsus, an important Roman city in what is now modern day Turkey. Part of the Jewish diaspora, Paul himself says that he was a Pharisee, and Acts suggests he studied the rabbinic law in Jerusalem. Both Acts and the Pauline letters suggest that Paul persecuted the sect of Jews who believed that Jesus was the messiah. Likely in the late 30s on the road to Damascus to preach against the new sect, Paul had a profound experience. Acts at three places describes the experience, and though the accounts conflict in their details, we know that Paul himself said that he was the last of the apostles to see the risen Jesus, and that it was on account of this that he called himself an apostle. Christians have termed the experience a conversion, but Paul never ceased seeing himself as a Jew, and conversion may overstate the case. The feast might be better styled, “the call of Paul,” for through it, Paul experienced the need to spread the Gospel to the very ends of the earth, and it is quite possible that his missionary efforts extended even to Spain. Paul likely died in Nero’s persecution, probably either in 63 or 67. Since many have undertaken to compile a narrative of the events that have been fulfilled among us, just as those who were eyewitnesses from the beginning and ministers of the word have handed them down to us, I too have decided, after investigating everything accurately anew, to write it down in an orderly sequence for you, most excellent Theophilus, so that you may realize the certainty of the teachings you have received. 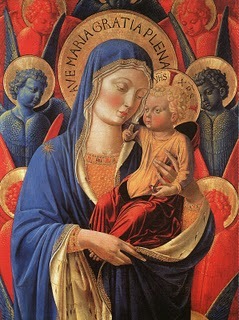 to bring glad tidings to the poor. and to proclaim a year acceptable to the Lord. Reflection on the gospel reading: In today’s gospel reading, Jesus provides a concise description of his mission, that is, to bring glad tidings to the poor, to proclaim liberty to captives and recovery of sight to the blind, to let the oppressed go free, and to proclaim a year acceptable to the Lord. At the core of our vocation as Christians is the imitation of the Lord. Just how do we follow his example? When the poor ask us for some change on the street, do we walk by as though we didn’t hear, or do we reach into our pockets to find something? When we encounter captives, do our hearts close them out or let them in? When we encounter spiritual blindness, do we say a kind word that invites understanding, or do we proffer a curt word that closes down dialogue? Do we seek to free the oppressed, whether their oppression is religious, political, or economic? In our cumulative actions, do we proclaim a year acceptable to the Lord, or do we live the way we always have lived and hope that mediocre is just good enough? Are we for each other the Christ, or are we for each other yet one more stumbling block? Reflection on the gospel reading: All of us want to be understood. Most particularly, we want to be understood by the members of our families. But sometimes the work that we do is so important that it is worthwhile to risk not being understood. Pursuing our vision of God’s will for our lives strikes me as something sufficiently critical that we can risk not being understood. It strikes me that it is important enough to risk being considered mad. Jesus was willing to take that risk, and he suffered his family’s sense he had lost his mind, but he never gave up on what he sensed the Father called him to do. Saint of the day: Nikolaus Gross was born on September 30, 1898 in Germany. A miner, he became the father of seven. A member of the Christian miners’ labor union at age 19, he became its secretary at 22. 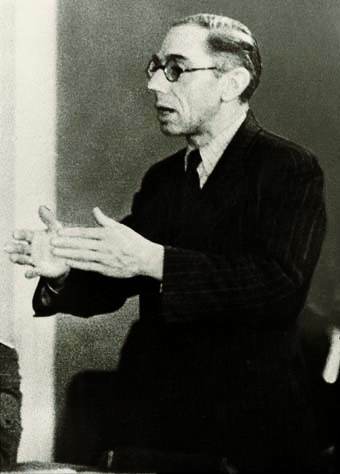 A member of the Zentrum Christian Party at age 20, he worked at age 22 on the West German Workers’ Newspaper, the newspaper of the Catholic Workers’ Movement and became its director at age 24. A nonviolent opponent of Nazism from its beginnings, Nickolaus worked with distinguished Catholic intellectuals who opposed the regime. From Cologne, he exposed the lies and harmful effects of Nazi propaganda, and he worked for the revolt of consciences against Hitler. Declared an enemy of the state, his newspaper was shut down in 1938, but at great risk, he continued to publish an underground edition. He tried to organize resistance among Catholic workers in preparation for the assassination attempt on July 20, 1944. Though neither he nor the members of his group were implicated in the assassination attempt, Nikolaus was arrested on August 12, 1944 for treason, and sentenced to death by a People’s Court on January 15, 1945. A martyr, he was executed January 23, 1945 at the Berlin-Plotzensee prison. His body was cremated and the ashes scattered. Jesus went up the mountain and summoned those whom he wanted and they came to him. He appointed Twelve, whom he also named Apostles, that they might be with him and he might send them forth to preach and to have authority to drive out demons: He appointed the Twelve: Simon, whom he named Peter; James, son of Zebedee, and John the brother of James, whom he named Boanerges, that is, sons of thunder; Andrew, Philip, Bartholomew, Matthew, Thomas, James the son of Alphaeus; Thaddeus, Simon the Cananean, and Judas Iscariot who betrayed him. Reflection on the gospel reading: Jesus’ appointment of 12 apostles suggests his conscious awareness of the ties between his ministry and the history of his people. At the time of the the Assyrian invasion of the northern Kingdom of Israel in the eighth century, 10 of the 12 tribes were scattered and lost, and the history of God’s chosen people was disrupted. The proclamation of the Kingdom of God, the central message of Jesus’ ministry, suggested to the Lord the need to symbolically reestablish the 12 tribes of Israel. The naming of the 12, therefore, partly testifies to the continuity of God’s action within the lives of his chosen ones. Through our baptism, God has chosen us. We can trust that just as Jesus’ ministry continued and fulfilled the history of Israel, God will continue to remain present in our lives. The same God who cares for us today will care for us tomorrow, so no matter what troubles lie before us, we can be confident that God either will render them harmless or give us the strength to sustain the trials God sends. Saint of the day: On October 20, 1870 in Hungary, Ladislaus Batthyany-Strattmann was born into an ancient noble Hungarian family, the sixth of ten brothers. His family moved to Austria when he was six years old, and his mother died when he was 12. When of age, he studied agriculture, chemistry, physics, philosophy, literature, music, and medicine at the University of Vienna, graduating with a medical degree in 1900. On November 10, 1898, he married Countess Maria Teresa Coreth, a pious woman, and the couple had thirteen children; the whole family attended Mass and prayed the Rosary every day. 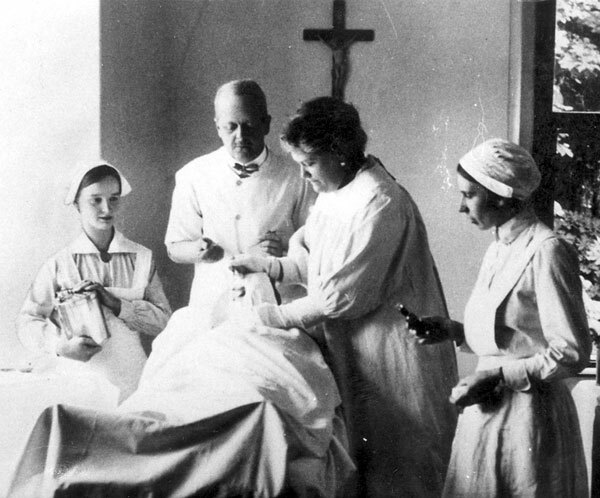 In 1902, Ladislaus opened a private 25-bed hospital in Kittsee, Austria. He worked there as a general practitioner, and later when he had more staff, specialized as a surgeon and eye doctor. During World War I, the flood of injured soldiers required him to expand the hospital to 120 beds. In 1915, Ladislaus inherited the castle of Körmend, Hungary, and with it the family name Strattman and the title of Prince. In 1920, he moved his family to the castle and turned one wing into a hospital specializing in eye diseases. Ladislaus’ skills led him to become an internationally known specialist in opthamology. Dr Ladislaus never turned away a patient because they could not pay, and provided funds to the destitute. He treated all, kept them in hospital as long as necessary, gave away medications, accepted what patients would pay when they would, but never asked a fee from anyone except that they pray an Our Father for him. He prayed over each patient before working on them, knew that his skills were simply God working through his hands, and saw his family fortune as a way to help the poor. He was considered a saint in life by his family, his patients, and fellow healers. He died January 22, 1931 at Vienna, Austria of bladder cancer and was buried in the family tomb in Güssing, Hungary.